The Raman Gas Analyzer System promises to change the way natural gas is measured. Raman spectroscopy is an indispensable tool for buyers and sellers interested in managing monetary risk as well as for process managers desiring to increase production efficiencies. The Raman Gas Analyzer System (RGAS) measures the composition of natural gas. The system is based upon equipment that has been successfully deployed at industrial sites for more than ten years. The laser-based analyzer has been outfitted with a predictive algorithm for natural gas and has now been introduced to the energy sector. The RGAS displaces gas chromatograph-based (GC) measurement equipment in select Liquid Natural Gas (LNG) and Natural Gas (NG) sampling applications. Using Raman spectroscopy represents major advances in the quality of on-site composition analysis. This system has the accuracy, stability, repeatability and speed to quickly deliver laboratory-grade measurements to an online installation. Furthermore, the system decreases the day-to-day operational effort required to maintain measurement quality. The natural gas industry demands solid analytical tools. Natural gas energy content calculations and processing equipment efficiencies depend on the quality of the measurements taken. Until now, measurements have been limited to those produced by gas chromatograph-based equipment. Raman spectroscopy raises the standard by providing better measurements with less effort. This equates to decreased monetary risk in custody transfer and inventory control scenarios, and greater efficiency in product processing applications. Additional information will be available in the near future. in the laboratory and its accuracy has been verified in the field. 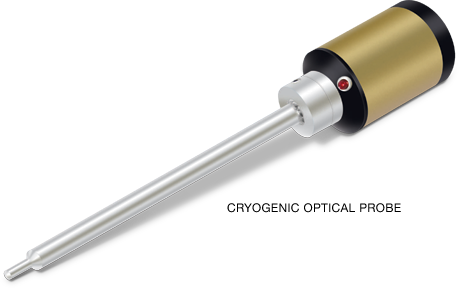 takes measurements directly in the liquid in LNG applications. vaporizer and accumulator. The stability of Raman spectroscopy in LNG applications is not affected by either extreme ranges or rapid changes in flow rate and pressure. In contrast, the vaporizer and accumulator utilized in GC-based systems are adversely affected by these states. The standard deviation of LNG BTU measurements, as evaluated in the field, is typically 0.25 for all conditions. A GC will typically show much higher variation depending on the flow rate, pressure and composition states of the product. The speed of Raman spectroscopy is reflected in extemely fast update times. Update times of 12 seconds have been observed in optimized environments. The GC almost universally requires a minimum 5 minute update time. *These factors contribute to higher certainty & faster information feeds for natural gas measurements. The analyzer is engineered with optical and solid state devices resulting in a very robust system that requires very little maintenance. required for proper operation. All of these features ensure low life-cycle costs. minimizing the risk of monetary loss due to poor measurements. efficiency and safety due to faster information feeds. investment. Communication is possible with Data Acquisition Systems via standard protocols. 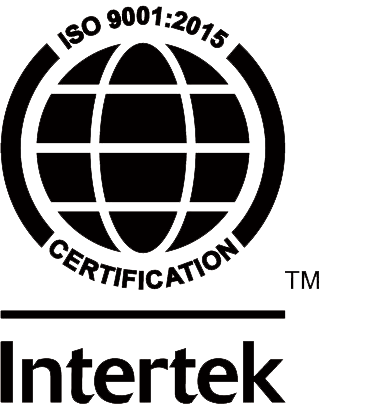 certification is available for installation in hazardous environments. The optical analyzer identifies the molecular composition of the product. This is a common step in calculating energy content and tracking product inventory. Since flow rate does not adversely affect Raman produced measurements, the product measurements taken during the ramp-up and ramp-down phases of the transfer are valid and may be used for product price calculations. Custody transfer standards disallow the use of measurements during this time for vaporizer-GC measuring equipment because the equipment does not function well under these conditions. For the first time, measurements taken during the entire transfer process can be incorporated in the energy content calculation. Furthermore, the pressure differences produced by land-based and ship-based pumps will not effect RGAS produced measurements. Depending on the vaporizer-GC design, these differing pressures may result in measuring the same product differently. The RGAS produces practically no outlier measurements. The update time is typically 5 to 10 times faster than GC-based equipment, further increasing the amount of usable data. Trading partners can rest assured that the analysis is correct because the measurements are thorough and are taken by NIST calibrated equipment. Raman spectroscopy raises the confidence level of trading partners by minimizing the risk of monetary loss due to poor measurements. Laser-based measuring is inherently fast. 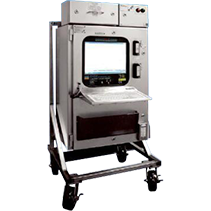 The Raman analyzer is then ideally suited for on-line monitoring of continuous processes operating at high rates. Possible applications include LN2 blending and LPG spiking. Raman spectroscopy system’s ability to provide real-time, actionable information allows altering of the energy content as the product is transferred to the cargo ship or distribution network. Exporters and importers are now empowered with the option of trading product with a wider range of energy content, thereby opening untapped markets and sources. Composition measurements for liquefaction and vaporization processes will also benefit from the speed of the Raman system. In general, processing equipment may be operated with increased efficiency and safety due to faster information feeds.